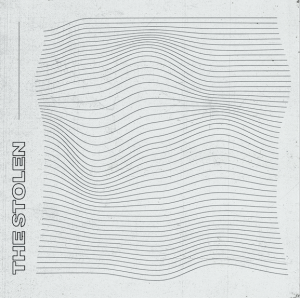 The boys of the pop-rock outfit, The Stolen, have announced they will be releasing their self-titled, debut full-length album this spring via Revival Recordings. The record is set to be released May 31, 2019, and will include singles such as “Rooftop feat. Jake Miller,” “Overboard,” “Change The Record” and more. Today, the band premiered their next single and music video for “Millennial” which comes off of the 10-track record. Check it out here. The song is now available across all streaming services. Guitarist Rob Chiarappa shares, “‘Millennial’ was written super reflective on both myself and my generation. We are a breed full of emotions far more expressive and vibrant than any other generation but we just have no way to further our emotions other than minimal effort. Even its simplest form, from our friends to how we feel about things going on in the world; it’s just a part of the instant gratification we crave. In support of the upcoming record, the band will be hitting the road for a North American tour, kicking off on May 31 in Philadelphia, and wrapping up on June 26 in Washington D.C. For a list of full dates, please see below or visit: https://www.thestolenmusic.com/tour. Before they honed their songwriting skills to craft inviting pop hooks and kinetic guitar melodies, the four New Jersey natives who make up The Stolen started off as a group of friends who explored their love of music through learning and performing AC/DC songs together, ripping covers of classic rock anthems and Motown tunes at their grade school talent shows. Almost 10 years later in 2013, the band started officially releasing music. For the release of their single “Chardonnay” in 2015, they worked with producer Paul Levitt (All Time Low, Have Mercy), and began the transition from their pop-punk beginnings to put more focus on their pop sensibilities. 2016 marked the arrival of their self-released, self-produced EP, I’m So Dead, and in 2017, the band released their most collaborative effort to-date, Fragile Heart. 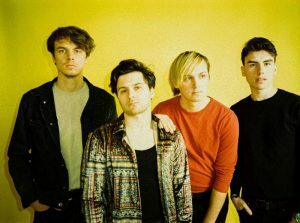 Over the past few years, The Stolen has been recognized and heralded by notable tastemakers such as MTV, Billboard, and Alternative Press, have shared the stage with bands and artists such as Neon Trees, The All American Rejects, Jake Miller, and more, and have played Vans Warped Tour. The band’s single “Overboard,” released earlier this year, hit No. 21 on the iTunes Alternative Chart, and that, along with recent singles “Change The Record,” “Stuck,” and “Rooftop” perfectly illustrate where the band’s sound is headed. The Stolen is set to release May 31, 2019. For more information, please visit https://www.thestolenmusic.com/. 10. This Is Good For You, Yeah? Download high-res tour admat HERE. The Stolen is Dom Cuce (vocals, guitar), Rob Chiarappa (guitar), Kevin Smart (bass), and Mike Chiarappa (drums).